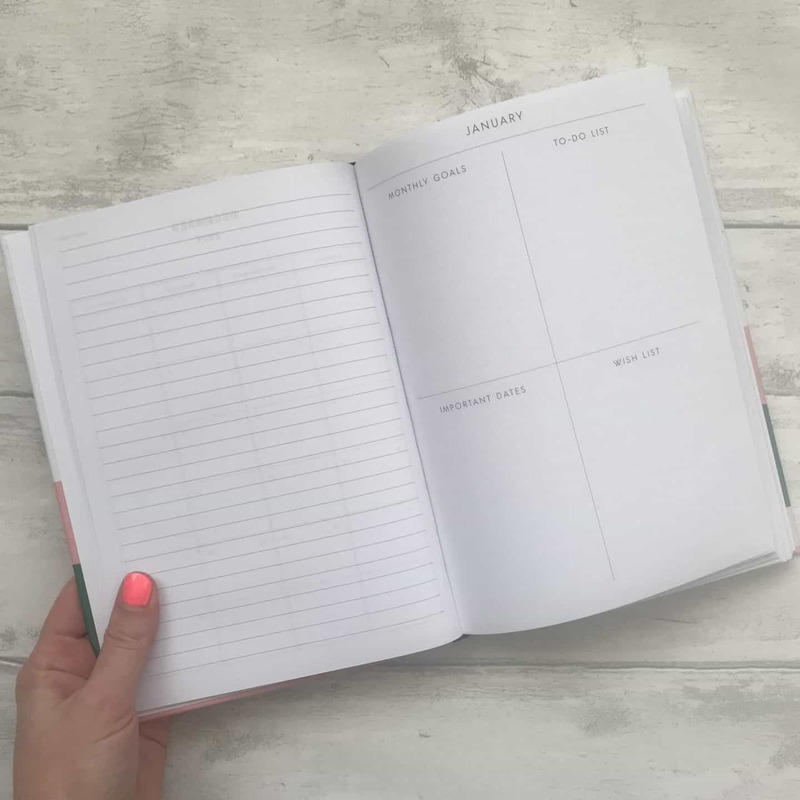 I’m a little late uploading this post, but it is still January, so I thought I’d share a peek at my new diary as it’s so pretty! 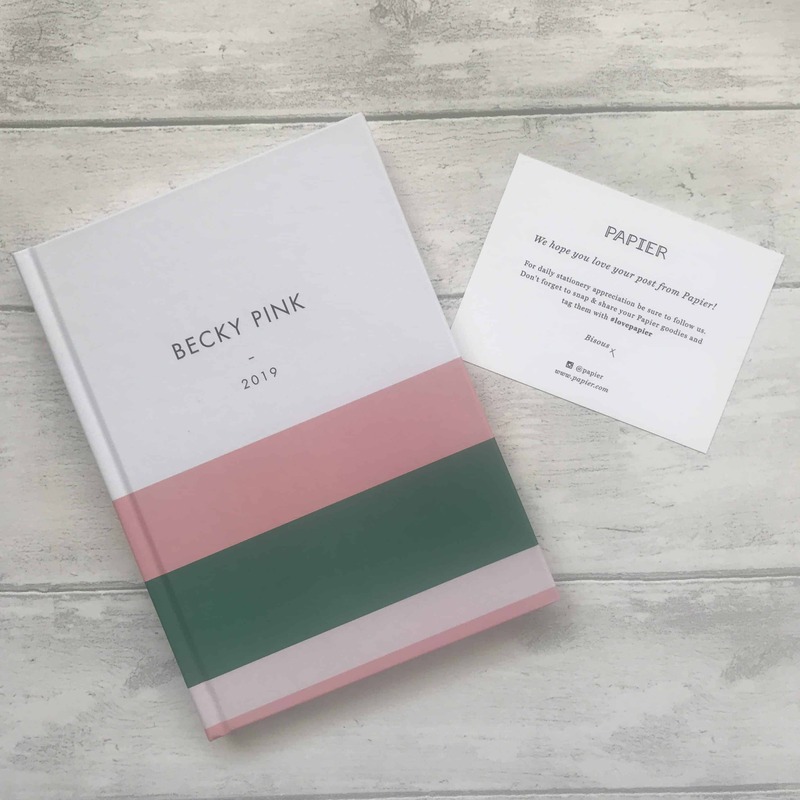 I bought my new personalised diary online from Papier and I’m so happy with it. I’ve had a variety of diaries since becoming self-employed four years ago. 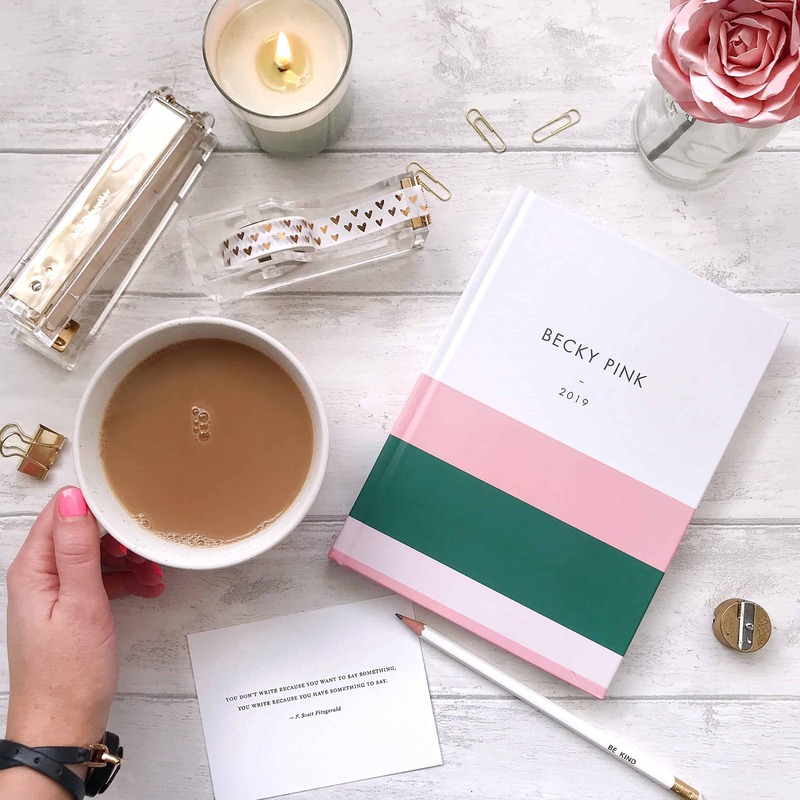 As a freelance copywriter, and a mum, I need something to help keep me organised and on track. An iPhone calendar is all very well, but you can’t beat paper. 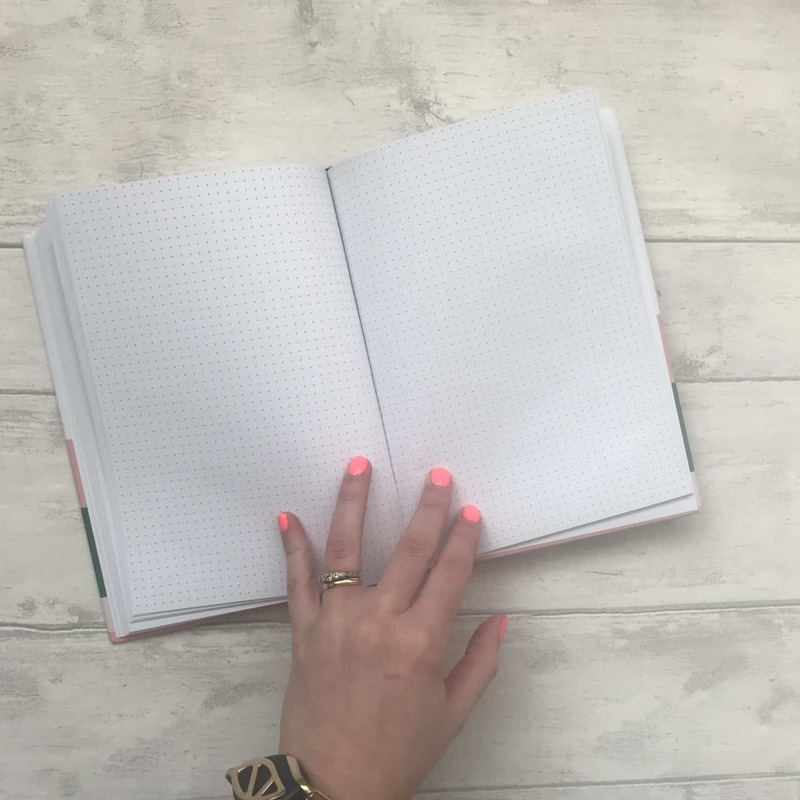 I have had very pretty diaries in previous years, with lots of fancy sections for goal planning and nice inspirational quotes. But I find I only use that part for about a month, then it quickly goes out of the window! This year, I wanted something a little more basic in format, without losing any of the prettiness. I also went for something slightly less bulky, so I can carry it around with me. 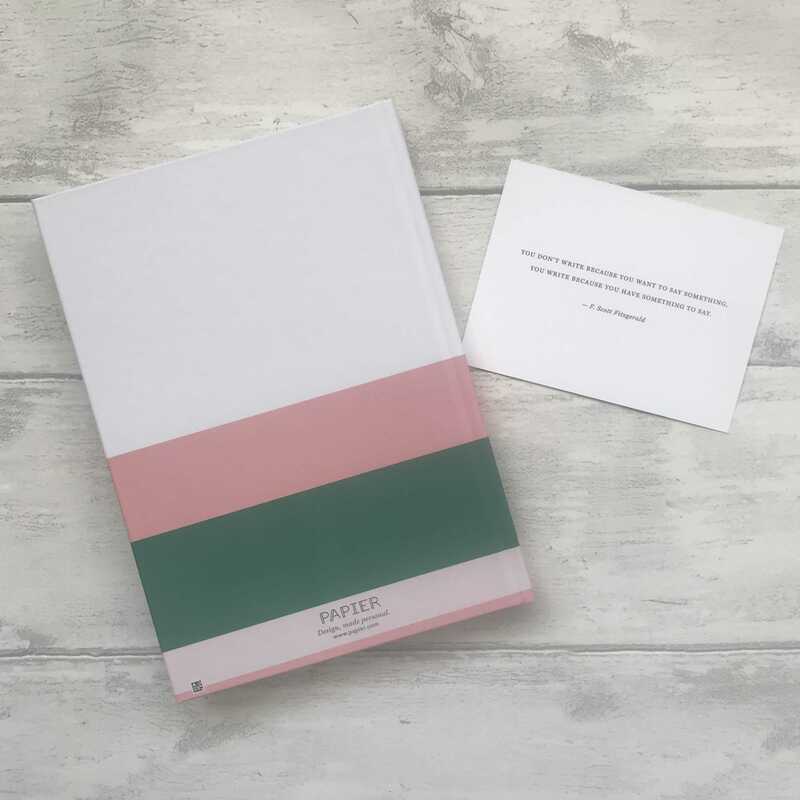 My diary is in the colours of my (still-in-the-design-process) new Copywriting website, so I couldn’t not get it! They have tonnes of other gorgeous cover designs to choose from, from florals, graphics, block colours and even some Disney designs. The design wraps around the back of the diary, and it comes with a cute little quote card, all wrapped in tissue paper. 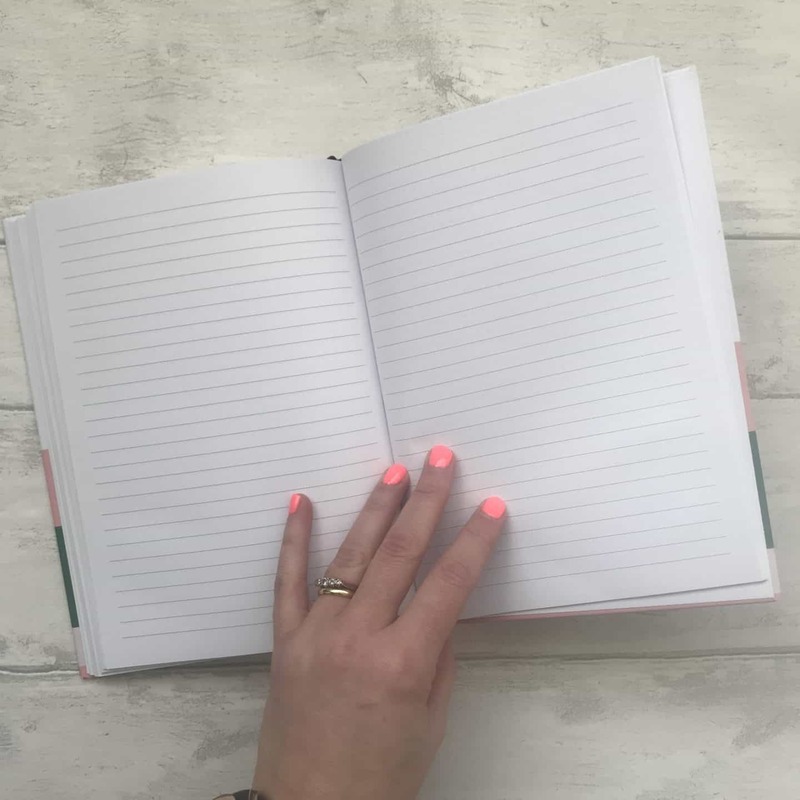 What’s Inside my New Diary? 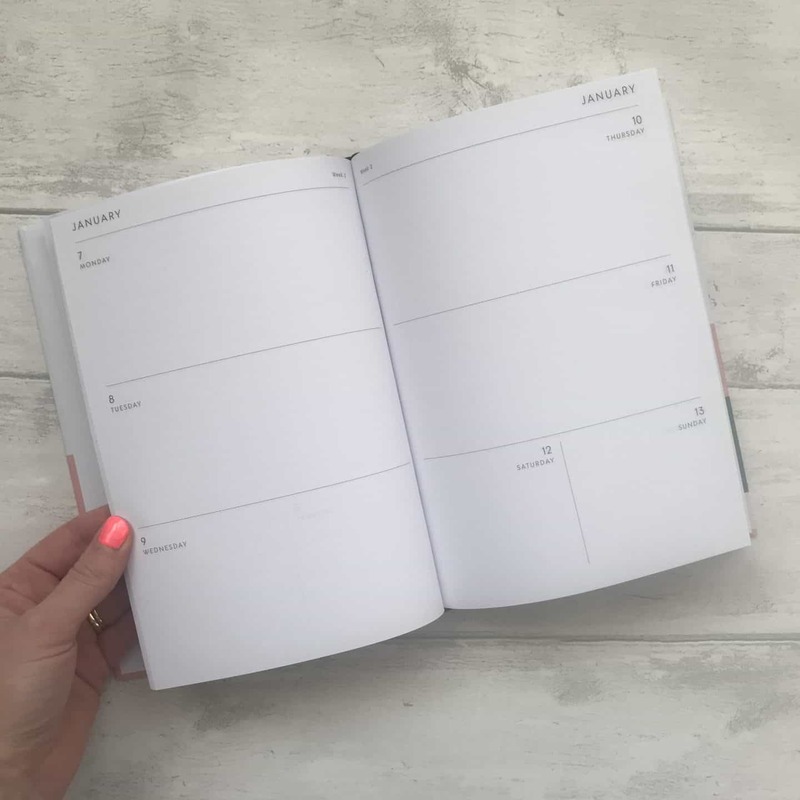 Inside the pretty hardback covers are a year view for 2019 and 2020, monthly goal pages, week to view pages. 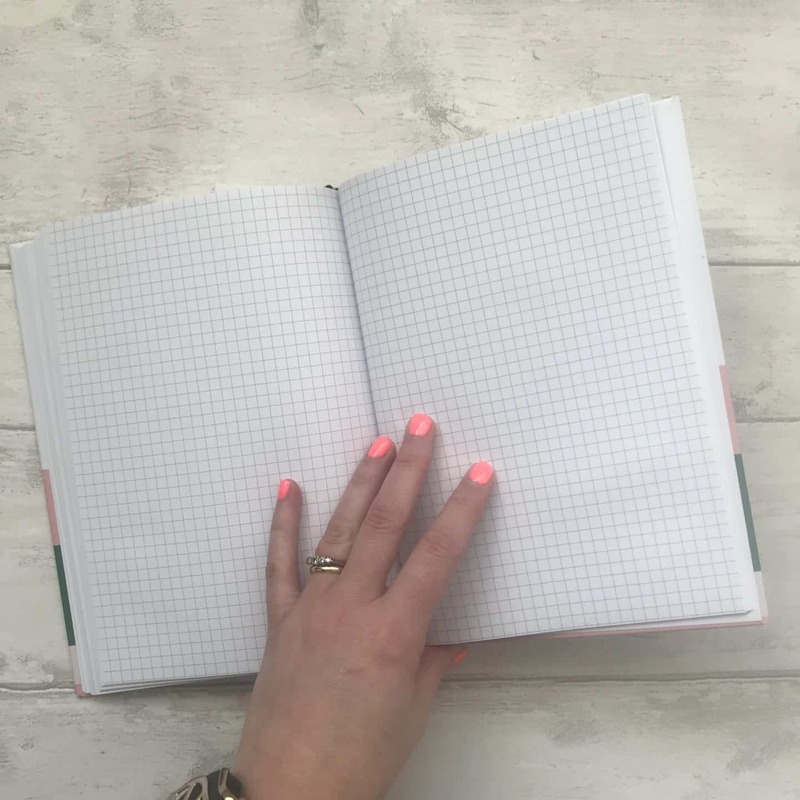 There are also 35 pages at the back to use however you like, in a mix of blank, dotted, lined, and gridded paper. So far it’s working perfectly, with just the right amount of space for my work and family activities. I also just love the way it looks, and can see myself buying one next year, too. 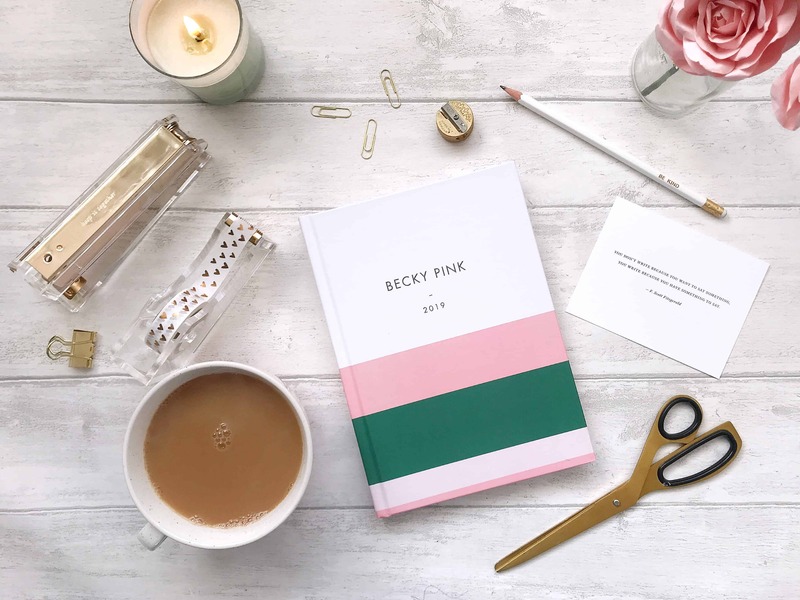 I paid about £22 plus postage for my diary, but when I popped over to their site to find the link, I noticed they have 40% off their diaries now! 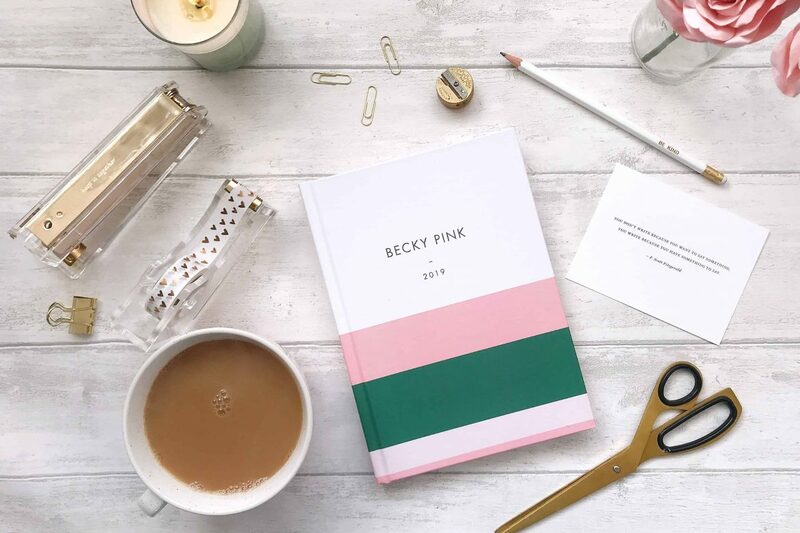 So if you’re a little late in buying your diary, this could be a great time to buy. I had a wall calendar on top of a paper diary last year, but this is the first time I’m tying just a diary and iPhone. 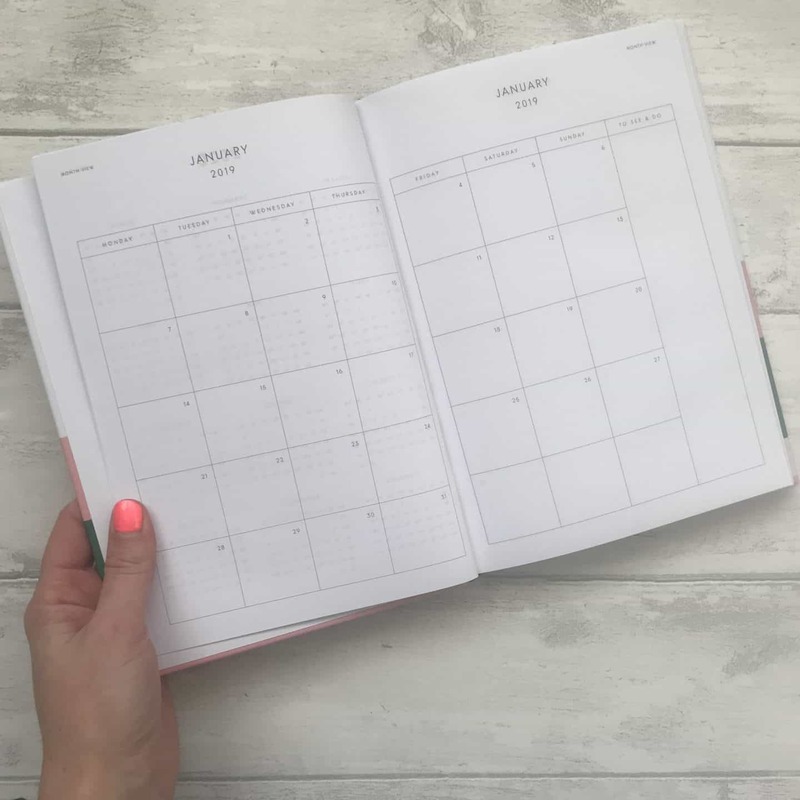 What do you use to keep track of your life?